Over the years Connecticut-based multi-instrumentalist and composer C.W. Vrtacek has released several solo albums, appeared on numerous compilations, collaborated with Frith, Didkovsky, Biota, and other names along the Recommended/ReR axis, and is the de-facto leader of Forever Einstein. Silent Heaven collects all the tracks (minus one) from his two late-80s releases Learning to Be Silent and When Heaven Comes to Town, heretofore only available as obscure vinyl releases (and both long out of print). With only a few exceptions, Vrtacek plays all of the instruments – pianos, synthesizer, guitars, bass, various tuned percussion instruments, and tapes. Learning begins rather unobtrusively: several short guitar duos and relatively straightforward instrumental musique concrète type pieces open the album, which gets increasingly more adventurous as it progresses, the last half being made up predominantly of experimental synth based excursions and sound collage type material reminiscent of Biota. Heaven seems to take a similar path as Learning, beginning with several more seemingly simple neo-classical influenced pieces, shifting gears after four tracks, eventually leading up to the enigmatic twenty-six minute title track, essentially one lengthy sound collage of many parts made from musical bits and pieces played on a variety of instruments juxtaposed with found sounds, taped noise bits and all sorts of other semi-recognizable sources. 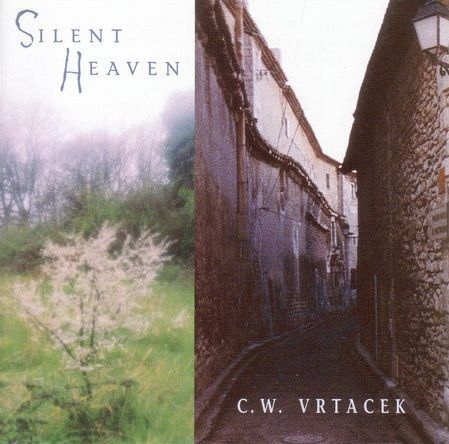 For anyone who is familiar with Vrtacek's harder edged work in Forever Einstein, these two solo albums represent something radically different from that, the other side of the coin if you will. This is definitely a grower: the more one listens, the more one likes, yet one that's very easy to get comfortable with. Recommended.